We have set up an irrigated garden for St Peters, the closest local hospital, to assist the hospital with produce for its employees, as well as cash flow from the sale of surplus. The drip-irrigation equipment was supplied and installed by Green Fuel and consistent support is provided by our irrigation specialists. 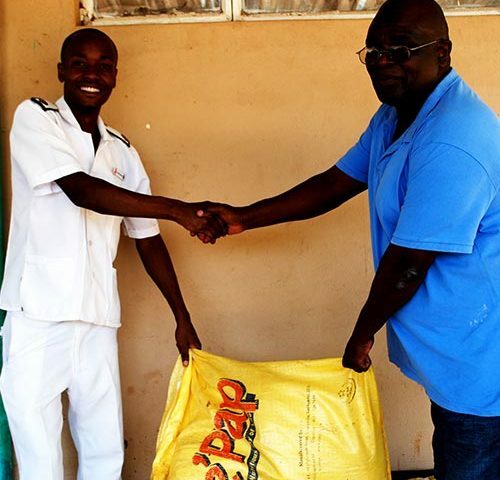 We continue to supply E-Pap it to St Peter’s Hospital, primarily for malnourished and sick children. E-Pap is a pre-cooked porridge containing essential micro-nutrients and, at present, is being sold in 15 African countries. It has been proven to significantly assist in the renourishment of children in poverty-stricken areas and its benefits have been well documented.